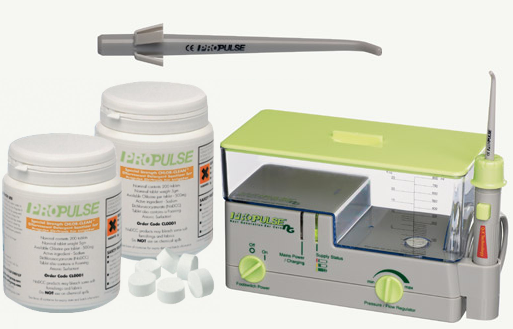 Propulse is a brand name of Mirage Health Group. They specialise in irrigation systems and have been made famous with their market leading Propulse Ear Irrigator. Over time, they have extended their range to include other complimentary products but each time they focus on ear care. That's one of the reasons why this company produces a high quality premium product. It knows what its good at and it sticks to it. There is nothing these guys do not know about how to build and maintain ear irrigators and we are delighted to be selling their products on Medical Supermarket. They have invested in R&D and listened to their customers and this has enabled them to launch more efficient and effective machines such as the Propulse NG Ear Irrigator and their latest innovation, the ProScoop Ear Wax Removal Scoop. "You can't beat a Propulse machine"
If you would like anymore information on Propulse products, contact us today and we will be delighted to help you.